Here you find discussion on all aspects about web hosting from security, performance, reliability, backup and maintenance being some. How to Change the PHP Run time Configuration from the cPanel? What's the best Free cPanel alternative control panel? Which is Better Free SSL vs Paid SSL Certificates? What is the best format to make backups in cpanel? What's the most important thing to look for in a web host? How can I make a backup in cpanel easily? How can I monitor my website uptime? How hard is it to setup a VPS? What do I do if a domain I want is not available? Are all web hosts about the same? Are backup services worth it? What does it cost to move a blog? Should I only use web hosting that has cPanel? Is OVH VPS hosting good? what do you think of .blog domains? What type of Web Hosting do you use? 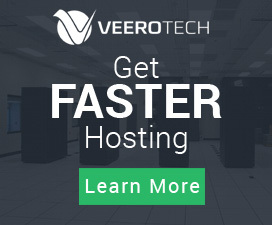 Which web hosting do you recommend? Should I register the .net version of my .com domain? Should I use a web host that offers Cloudflare? Should I use a .com? If I change web hosting will it hurt my rankings? Are .cooking domain names good? How long should web hosting ticket support take? Where can I test my blog loading speed? Is it good to stay with the same host for a long time? How much do you pay for your web hosting?